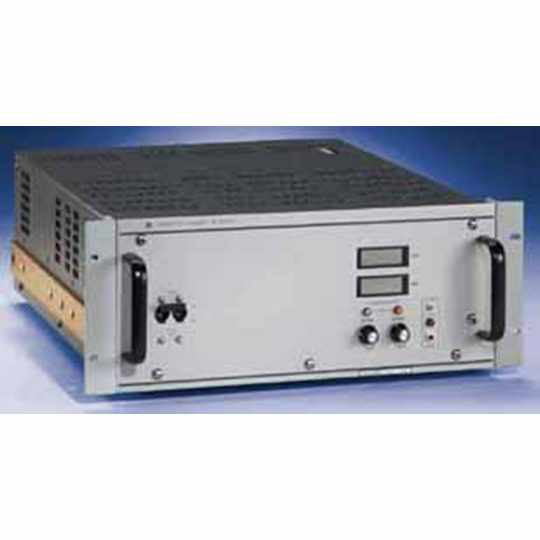 Series ATE linear power supplies are precision analog-controlled power supplies. 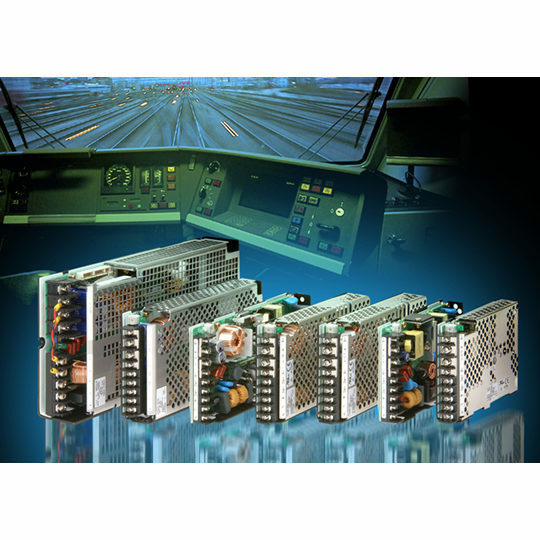 They feature high gain and zeroable offsets to follow voltage signals or variable resistance controls precisely. An optional fast mode provides fast programming response into the mid audio range. The voltage and current channels are equally controllable with automatic crossover between modes. 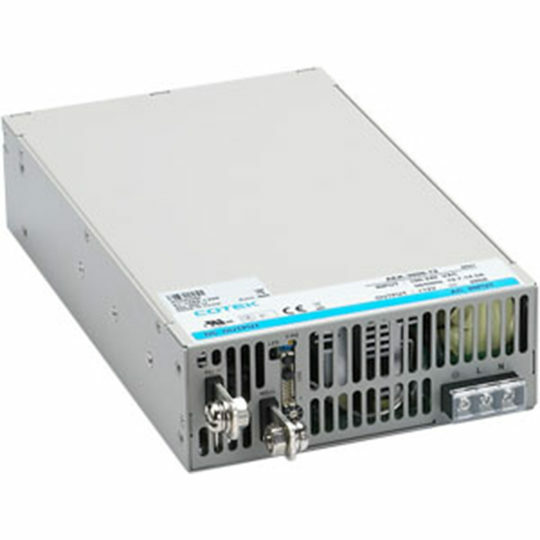 These power supplies offer ultra low noise and ultra low ripple at the output. Panel mounted analog meters allow monitoring of both channels. Optionally, ATE models can be provided with digital displays. To specify, substitute the suffix “DM” for the suffix”M” in the model number. For example: ATE 36-15DM specifies digital displays. Local control of both channels is by panel-mounted 10-turn rheostats. Optionally, the front panel knobs can be replaced with locking-type screw-driver-adjustable controls by specifying models with suffix “L.” Panel mounted LEDs indicate voltage or current mode operation. This information is simultaneously delivered as an optically isolated TTL-compatible flag signal accessible through the rear connector. 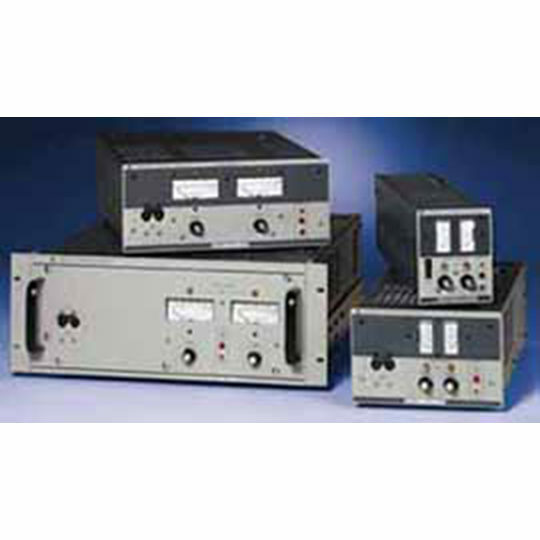 The tabulation of the effective series resistance and inductance in voltage mode and the effective shunt resistance and shunt capacitance in current mode shown in the Model table, is done to allow a calculation of the output impedance versus frequency. ATE are CE Marked per the Low Voltage Directive (LVD), EN61010-1 and the EMC Directives. See applicable Declaration of Conformity and the Conditions of Conformance. 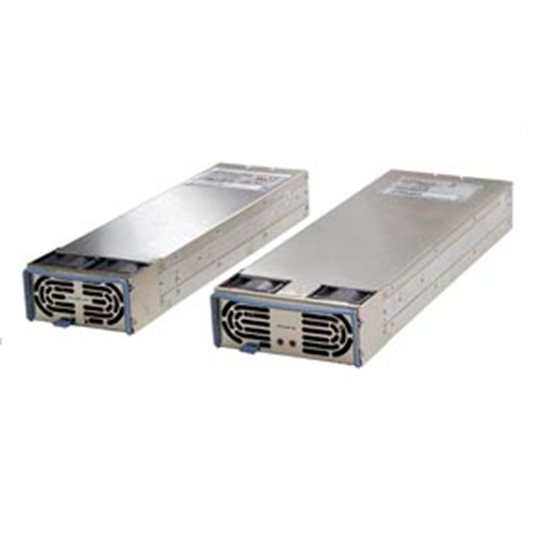 Linear programmable power in five sizes to 1000 watts. 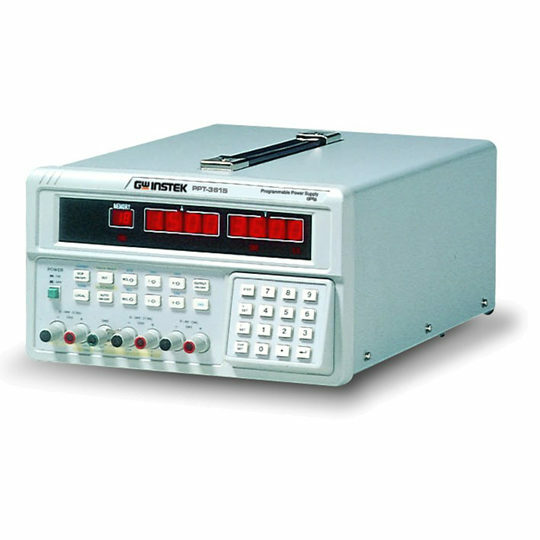 Low noise, high speed linear precision control. 10 turn panel controls offer exceptional resolution. User-selectable capacitorless output for fast analog programming or quick recovery current-mode operation. User selectable fast or conventional modes of operation. Use fast-mode for rapid response to programmed instructions or for quick response in current mode to load changes. Voltage and current modes with full and equal control over the output in both modes. Multi-terminal user port allows the ATE to be configured by arranging the jumpers on a mating plug, PC-12. 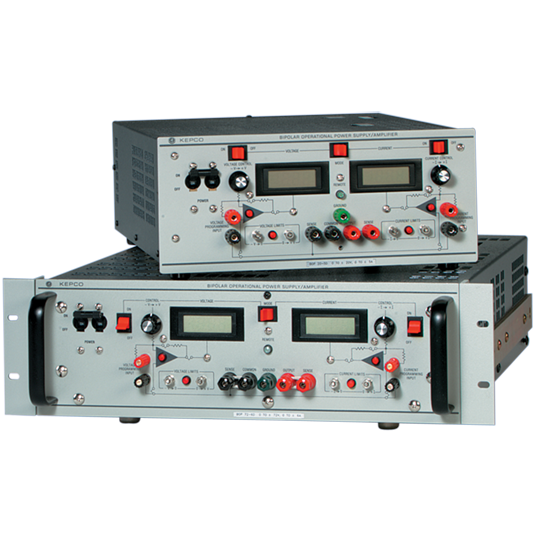 Full zeroing and full-scale calibration for both the voltage and current control channels. Programmable overvoltage crowbar. Can be manually set from the panel or programmed with a 0-10V analog signal. Optically isolated input-output to interconnect multiple power supplies. Uncommitted amplifiers to manipulate arbitrary control signals into the required 0-10V needed to program ATE. Two provided. Can be used for scaling and summing.